Given the concerns expressed that the existing voters’ list is ‘bloated’ with the names of Guyanese living abroad, representatives of the Atlanta, Georgia-based Carter Center yesterday suggested to the Guyana Elections Commission (GECOM) that general elections can be held in August if existing legislation is activated to remove such names from the list. “What has surfaced is the National Registration Act which provides for people who are non-resident to be taken off of the list… I’m not unprepared to explore the possibility of using the law that already exists but would need some regulations for it to be operationalised,” government-nominated commissioner Vincent Alexander told reporters after the meeting. The Carter Center team, comprising Jason Carter, who is the grandson of former US President Jimmy Carter, David Carroll and Brett Lacy, met the seven-member commission and the Chief Election Officer Keith Lowenfield at GECOM’s Kingston head office yesterday. Carter, in a statement to the media at the end of the two-hour meeting, said that it was “very productive.” Making it clear from the outset that he will not be taking any questions, he indicated that there was a “genuine exchange of ideas” and that there is “a lot of political desire” to reach a solution. “I think ultimately our role here of course is limited. We’re not Guyanese [but] we care about this country. The Carter Center has been here for many, many years, almost 30 years. This country is important to my grandfather. It’s important to me and my family as well but ultimately the issues that are being confronted right now (are) going to require the cooperation of political leadership of this country and we are optimistic, and we have had a very productive meeting with GECOM,” he said before leaving. Alexander, while noting that none of the suggestions made were put into writing, said that the team accepted that on the one hand, every effort should be made to meet today’s deadline for elections or extending the time, but on the other hand, that something must cater for the rectifying of the voters’ list, which is a matter of concern. He went on to say that it was suggested that the National Registration Act be operationalised to sanitise the list of overseas-based Guyanese. Alexander stressed that the constitutional rights of these persons would not be violated in any way with the exclusion of their names from the new list. He disclosed that the team seems to think that in these circumstances, a date of August would be acceptable. “They seem to think so,” he stressed before reminding that government’s contention is that house-to-house registration which is desired, will take the date to November. In February, Lowenfield has said that the earliest date by which elections could be held was July but only if preparations started immediately. 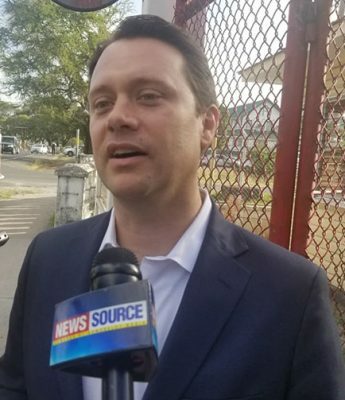 The letter from Patterson was a response to Granger’s request that the commission provide him with a timeline for credible elections as well as an outline of its financial needs. Several meetings within the last two weeks ended with the opposition PPP-nominated commissioners walking out. At the last meeting, it was claimed that a motion for house-to-house registration was passed using the votes of the three government-nominated commissioners. The opposition has expressed strong objections to house-to-house registration saying that the list can be sanitised through a claims and objections period which will take a considerably shorter amount of time. Alexander told reporters yesterday that these are “early days” for him to be able to pronounce on how long the process of removing the names of non-residents will take. “I cannot make a comment at this time,” he said. When pressed further, he said that the law provides for a report to come from immigration. “I think the idea is if somebody does not return in three months, one can make the assumption. His disposition, for example…if somebody goes to the airport and the documents the persons presents to leave are documents saying the person got permanent (residency elsewhere), then that’s a basis for taking the person off the list [but] it seems to go further to say if the person, in three months, doesn’t return, you can take them off and if they really want to be (on the list), if they are here during elections time, they get back on through claims and objections,” he said. Asked if these changes will require a return to the National Assembly, he said that it “may require that” for, at a minimum, a negative resolution. “This will not be original legislation, this will be subsidiary legislation because the original legislation already provides for that to happen,” he said. He reminded that there is a mechanism in place for the removal of the names of dead persons which involves the Registrar General sending the relevant documentation to the commission. Alexander would later say that the removal of the non-residents in keeping with the Act was discussed several years ago. He said that this is the first time it is being discussed with the aim of activating the provision. “What has happened now is that it has surfaced as a possible way of operationalising,” he said. Patterson left the meeting about half an hour before the Carter Center officials and the commissioners emerged. 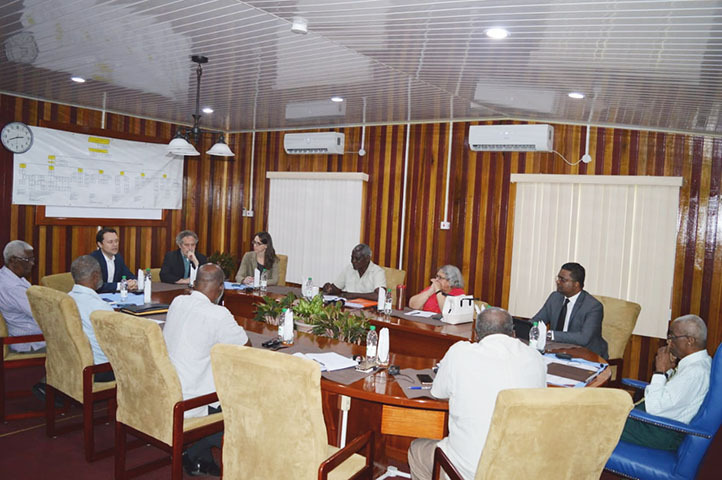 Opposition-nominated commissioner Sase Gunraj explained that the formal meeting had ended and the commissioners were having informal discussions with the Carter Center team. Gunraj informed that the proposals made will have to be considered and studied in detail by he and his two fellow PPP-nominated commissioners. “At the end of the day as we said before, the resolution of this remains with the President and the Leader of the Opposition because …we are on the cusp of the expiration of three months for the holding of elections so this unchartered territory has to be navigated by the leader. However, the proposals that were brought to us …will be considered by the commission and hopefully, as I said, the gulf that exists between the positions on the commission can be bridged in short order,” he said before confirming that one of the proposals involved the bringing forward of the November date. Asked if he got the impression that the government-nominated commissioners are willing to accept the proposals, he responded, “I can’t speak for my colleagues on the other side. What I can tell you is, any reasonable proposal that is brought to this commission would be as it ought to be, discussed and considered to be implemented.” He said that he hopes that the commission will meet again “shortly” to consider the proposals. He expressed optimism that a resolution will reached. Meanwhile, Opposition Leader Bharrat Jagdeo confirmed at a press conference that the Carter Centre officials met with him earlier in the day, their second meeting for the week. Jagdeo declined to go into detail about the discussions when asked by Stabroek News. He revealed that the team made “certain soundings about a proposal to me and I have given them my view on the matter.” He said that he knows that the team is in talks with the government. Since their arrival, the three-member team has also met with Attorney General Basil Williams and the Private Sector Commission. Those discussions centred on the current political climate in wake of the controversial passage of a no-confidence motion against the government on December 21 last year. The passage of the motion should have triggered elections within three months but the matter is now the subject of court challenges.